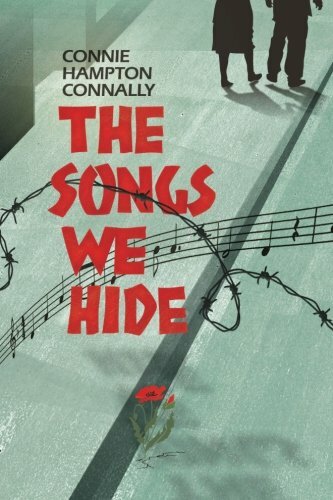 “The Songs We Hide” by Connie Hampton Connally is a historical fiction novel set in 1951 Hungary during the country’s transition to communism. In this brutal period of history, singers Péter Benedek and Katalin Varga find a little solace in their shared love for music. Connally’s exploration of Mátyás Rákosi’s Hungary is both thorough and heart-breaking. She does a remarkable job of portraying emotion and the reader feels everything her characters do, from the constant fear of being arrested or blacklisted to the small moments of joy they are afforded by music and family. “The Songs We Hide” is a great introduction for discussions on communism in high school history classes. With its easily sympathetic characters and bleak atmosphere, this novel is riveting and can hold the attention of teenagers and adults alike. Connally’s simple, haunting style is perfectly suited to such a story. Focusing on small joys in what seems like a hopeless world, she paints lovely family scenes and gentle moments between tragedies. Each instant of tenderness is only accentuated by the stark reality surrounding the characters. Connally uses this technique time and time again with shocking effectiveness. This novel examines Rákosi’s Hungary with a musical lens, which makes it stand out from a lot of other post-WWII era fiction I’ve read. Not only are readers following the day-to-day struggles of life in Hungary communist transition, they are following two musicians on their journeys; one as he overcomes his personal shyness, and another as she reignites her passion for singing after a traumatic event robbed her of it. That lens adds even more power to the emotional side of the story. “The Songs We Hide” is perfect for classrooms and anyone interested in a little explored area of history in fiction. Connie Hampton Connally builds a realistic, captivating setting and the strong voices she gives her narrators are certain to stay with her readers long after they set the novel down. “The Songs We Hide” makes a fantastic edition to any history buff’s bookshelf!